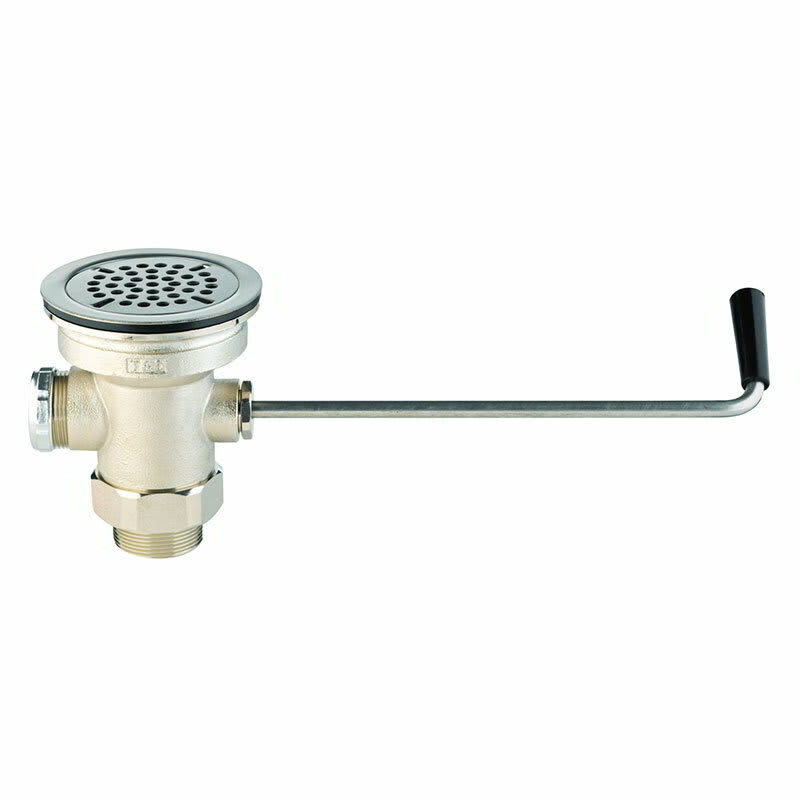 The T&S Brass B-3950 waste drain valve has a removable 31⁄2-inch, snap-in strainer that is built for a commercial kitchen. The body of the waste drain valve is rough chrome plated. It comes with a NPT adapter that converts 2-inch NPT male to 11⁄2-inch NPT male. There is an overflow outlet with a cap and sealing washer. The twist handle on the waste drain valve is fitted with a heat-resistant plastic grip. The height of the valve is 513⁄16-inches, the diameter of the strainer is 47⁄16-inches, and length from the handle to the middle of the adapter is 121⁄4-inches, plus or minus 1⁄4. 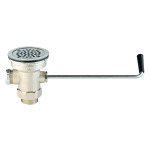 The T&S Brass B-3950 waste drain valve is ASME and CSA Listed.